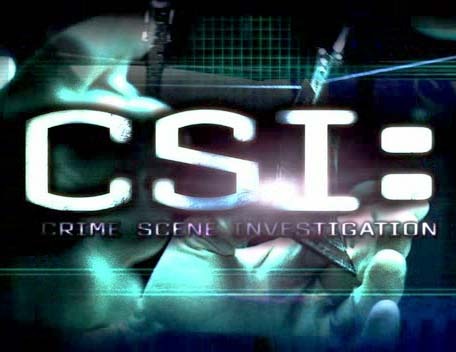 On a recent episode of CSI a crime scene investigator was provided with video for analysis from a party where a murder had taken place. From a surveillance video of the party, the investigator was able to focus in on a man's face and identify him to create a larger image for other investigators. Usually, I try to overlook some of the more outlandish technology and gadgets presented on CSI as possibilities or composites of something else, but this one had me annoyed since resizing digital images, especially from video, can be such a pain with the loss of clarity as images are made larger. I made some remarks regarding the ridiculousness of the technology and tried to continue enjoying the episode. A few days after I watched the show, a student happened to show me a panoramic picture of President Obama's inauguration speech wherein tiny details could be viewed by panning into selected portions of the image. The effect reminded me of Google Earth and its ability to allow for the viewing of street scenes. After looking at the image some more I thought of the CSI episode and the connection between the panoramic image of the President's inauguration and the video analysis on the show. My suspicion regarding the plausibility of the CSI image exposure was probably still valid but I definitely saw a connection between the two. The equipment for producing panoramic images is made by a company called Gigapan who produces both a commercial and consumer version of their product. Simply put, the Gigapan device lets you "stitch" together multiple images from your digital camera. The panorama created is then viewable in closer detail since multiple smaller images have been used to create the whole picture. I'm fascinated by the possibilities tools such as Gigapan hold for the future of photography. Below I have listed a few CFL books on the subject of forensics and digital photography.